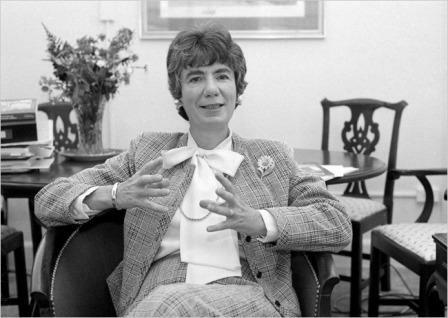 Anne Levy Wexler was a successful Washington U.S. lobbyist who had a long interest in Australian-American relations. She was born in Manhattan on 10 February 1930, the daughter of prominent architect Leon R. Levy. She graduated with a history major from Skidmore College in 1951, and soon after married ophthalmologist, Richard Wexler. She subsequently divorced Wexler, and married Democrat Joseph Duffey in 1974. Anne was a senior official with the U.S. Department of Commerce before embarking on her lobbying career and a democrat whose career highlights included working for President Jimmy Carter. After the fall of the Carter administration in 1981, she founded high profile lobbying firm Wexler & Associates with Gail Harrison, who had worked as a policy advisor to Vice President Mondale, and Bob Schule, a Senate lobbyist at the White House. The Australian Government was one of the clients of Wexler and Associates, along with General Motors and American Airlines. She was made an Honorary Officer of the Order of Australia in 2002 for her “service to Australian-American relations, particularly in relation to the Australian-American Leadership Dialogue and the Free Trade Agreement”. Anne passed away at the age of 79 on 7 August 2009. Her great legacy lives on in the Fulbright-Anne Wexler Scholarship.